We are definitely getting this for Willow, she can not only carry her own supplies but she can carry some of ours. 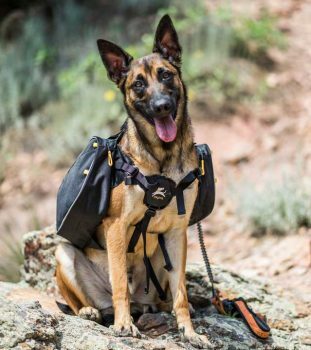 REI has the OllyDog Trekker RF Dog Pack for $49 on closeout. The Trekker retails for nearly $70! Have your pup carry her own food and gear to share the load on your next hike. The OllyDog Trekker RF dog pack distributes the weight evenly and adjusts for your dog’s anatomy to ensure comfort. Trekker RF is designed by experts for optimal fit, weight distribution, and most importantly your pet’s comfort. This harness is made with lightweight recycled materials and features a streamlined design with adjustable saddlebags. 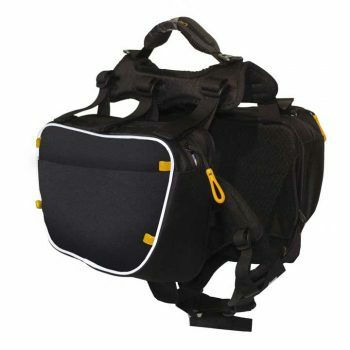 Both side compartments are lined with reflective piping for safety.